At least 100 Palestinians have been killed since Monday midnight after Israel beefed up its military operation in the Gaza Strip, according to Gaza health officials. 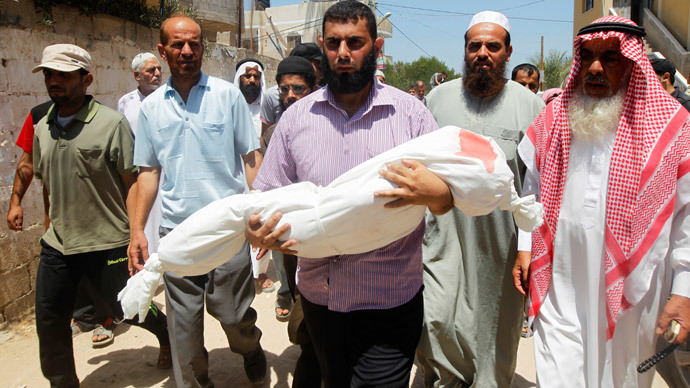 At least 100 people have been killed by Israeli shelling as Operation Protective Edge entered its 22nd day on Tuesday. The Israeli Defense Forces (IDF) bombing of Khan Yunis and Rafah in southern Gaza has nearly completely erased five whole families, writes Haaretz. Reporters present at the site of the intense shelling say that for now it is impossible to tell for sure how many people have been killed since many are missing or buried under the rubble of ruined buildings. The attacks on Gaza intensified shortly after Prime Minister Benjamin Netanyahu announced Monday that Israel has to be prepared for a “prolonged” campaign and warned that Israeli troops would not leave Gaza until they destroy Hamas' tunnel network. Ahead of the strikes, the Israeli army had advised Palestinians to flee their homes in areas around Gaza City. Palestinian fighters, including Hamas, are reportedly offering a 24-hour truce in war-torn Gaza, Itar-Tass news agency reports. The groups added that at the UN request they would be ready to prolong the ceasefire for 72 hours. Later on Monday, it was reported that it was the Palestine Liberation Organization (PLO) that actually declared a unilateral 24-hour truce to push forward the Egyptian proposal for a ceasefire and advance its implementation. Hamas’s spokesman in Gaza, Sami Abu Zuhri, denounced the reports that it had agreed to the PLO-announced truce. “We will not agree to calm until Israel commits to quiet. If we get an international commitment regarding an Israeli agreement for calm, we will consider it,” the spokesperson said, as cited by Haaretz. The Palestinian death toll in the conflict is climbing and has already exceeded 1,100, while the number of wounded is over 6,200, with the majority of those civilians. 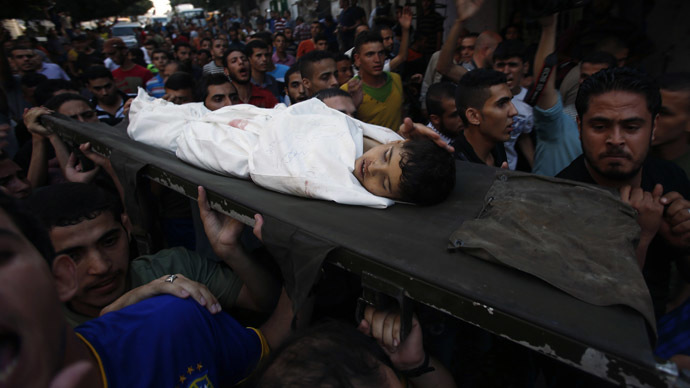 Over 50 Israelis have been killed since the beginning of the Gaza offensive on July 8. The Israeli government has repeatedly come under criticism from international groups for targeting civilian facilities – including mosques and hospitals – which resulted in a vast number of victims, including many women and children. Israel, however, maintains that Hamas uses such buildings “for military purposes,” and civilians as human shields. The same day, the IDF lost five troops killed in cross-border mortar fire. 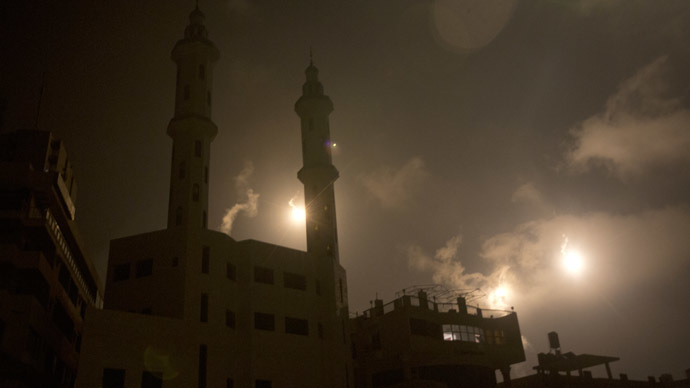 The Israeli military said that “Hamas has fired over 2,600 rockets at Israel's civilians” in the last three weeks.